The newest update to Instagram stories brings the ability to add your favorite tunes to a video or photo. From Drake to Tame Impala, you can now turn your Instagram stories into your own personal soundtrack. To add music is very simple. After you take a video or picture in the story section on Instagram, click the smile icon in the upper right-hand corner. You will then see a music icon in the second row, once you click that, you will have the option to click on what song you want to add. You’ll see three columns to choose from, popular, moods, and genres. You can also search for a specific song if you already have one in mind. Once you find your song, you can fast-forward and rewind through the track you choose the exact part that fits your story. You can also choose the song prior to capturing a video. When you open the camera, swipe to the “Music” option under the record button. Search for a song, select the exact part you want, and record a video as the songs play in the background. When your friends are watching your story, they will hear the song playing as they are viewing the photo or video. They will also see a sticker on your story that will say the song title and artist name. Currently, this feature is only available for iOS and is available in 51 different countries. But what if you just want to add music to your video post and not just your story? We have found the five best apps for iOS and Android that make adding music to your video simple and easy. Note: Most of these apps only allow you to use audio recordings or music files that are saved to your device. So if you exclusively use streaming apps, consider finding a few music files first. Lomotif is a lot like the Instagram story update — the interface is similar and adding music to your video clips takes just seconds. After you add music, your video can be uploaded and shared on Instagram, Facebook, and Twitter. This app not only lets you add music to your videos, but also text, filters, and emojis. You can search for millions of songs and thousands of artists, as well as browse by themes like birthdays or best friends. Videoshop (it’s like Photoshop, but for video — get it?) brings a lot of tricks to the table and is currently free on Google Play. You can flip videos horizontally, combine multiple clips into one, add animated transitions from clip to clip, and make Vine-esque stop-motion videos. You can also create copies of videos and edit each clip individually. The app includes dozens of filters and text overlays that allow for lots of customization. It’s compatible with iOS 10 or later and Android version 4.3+. Vigo Video, formally Flipgram, is a full-fledged video editor that sets itself apart by being more than just an app — it’s also a creative community. 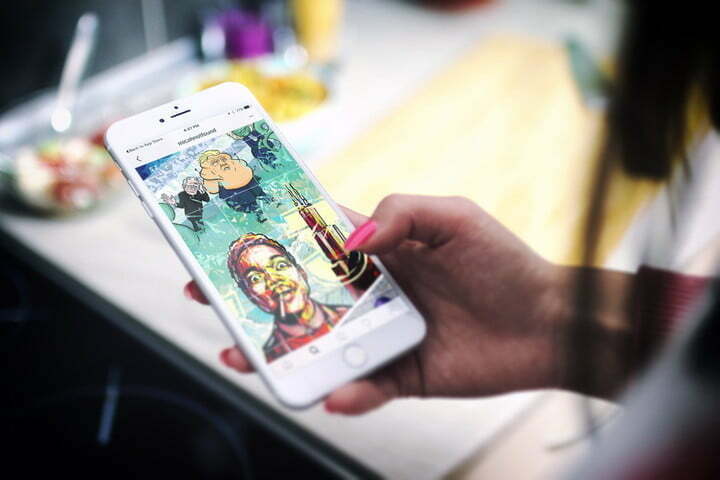 You can find inspiring content from other creators within the app and share your own videos to inspire others. Even if you’d prefer not to interact within its social space, Vigo Video still allows you to share to Instagram and other social media sites. It also features a built-in music library, making it easier to access your favorite tracks. You can also stitch together multiple video clips, add still photos, overlay text, and more. GoPro revolutionized the world of action video, and now the company is looking to do the same for the world of mobile video editing. Quik automatically creates stories from your pictures and videos (both those shot with your phone and with a GoPro camera, if you have one). It also adds filters, music, and one of several unique video edits — like stop-motion or “slice,” which cuts the screen in half and plays the video one side at a time — to create a masterpiece. The app also allows you to change any of the video’s properties, giving you full control over the look of your video. You can also choose music from your own library or from the app’s vast selection of songs. You can select or deselect pictures and clips you want to include as well, and choose which after-effects you’d like to apply. So, if you just want to add some tunes to a quick video of you cooking food, you can do that. Or, if you want to create a full collage of your recordings and pics from a recent ski trip, one replete with filters and effects, you can do that too. Tik Tok isn’t just an app, it’s a global video community powered by music. You can watch awesome short videos and also make your own videos by capturing those funny and memorable moments to share with the world. Spice up your videos by adding emoji stickers and face filters, then easily edit your videos with millions of free music clips and sounds. Choose from Tik Tok’s created playlists from every genre including, pop, rock, rap, electronic, R&B, and country.